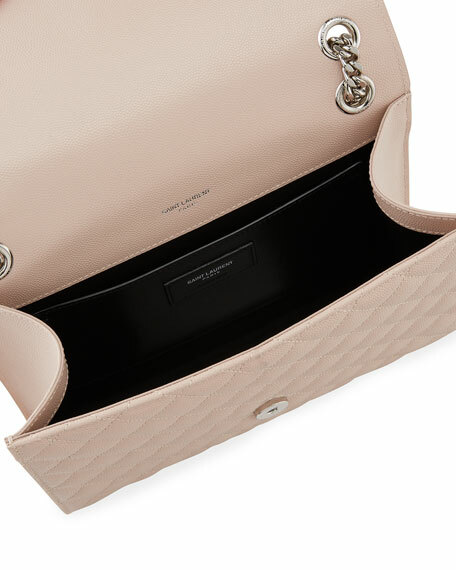 Saint Laurent shoulder bag in chevron- and diamond-quilted grain leather. Chain and leather shoulder straps, 10.4" drop. Envelope flap with YSL logo; snap closure. 6.9"H x 9.5"W x 2.4"D.
For in-store inquiries, use sku #2402980.